Innovative features that help you get the gig. No followers, comments or artist discovery searches to clutter up your reel. Use your logo, video or images, biography and headshot to personalize your reels. Elegant design looks great across all devices. Send a last minute pitch from 36,000 feet in the air, or your mom’s computer when you’re miles away from your studio. Upload tracks once and create reels using full tracks or non-destructively create snippets right in your web browser. Know exactly when reels are viewed — real-time statistics appear right in your account dashboard. Upgrade your plan to get even more detailed feedback. 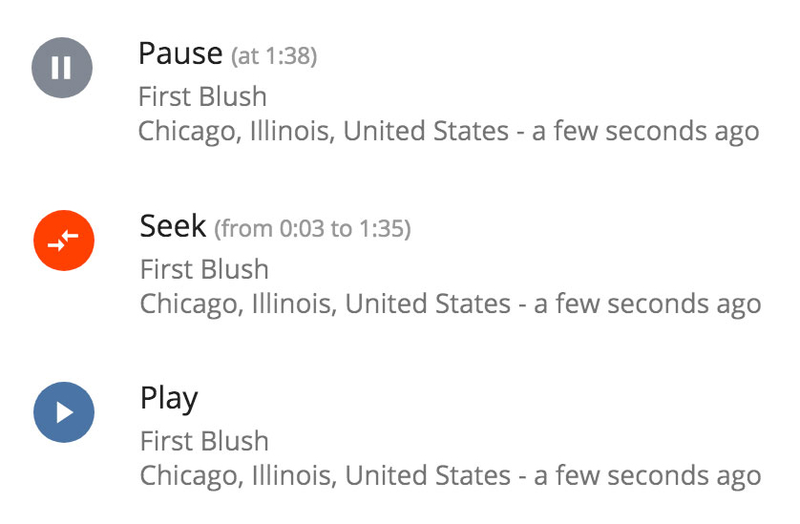 Watch how listeners interact with your reel, including time positions for skipped tracks and download notifications. 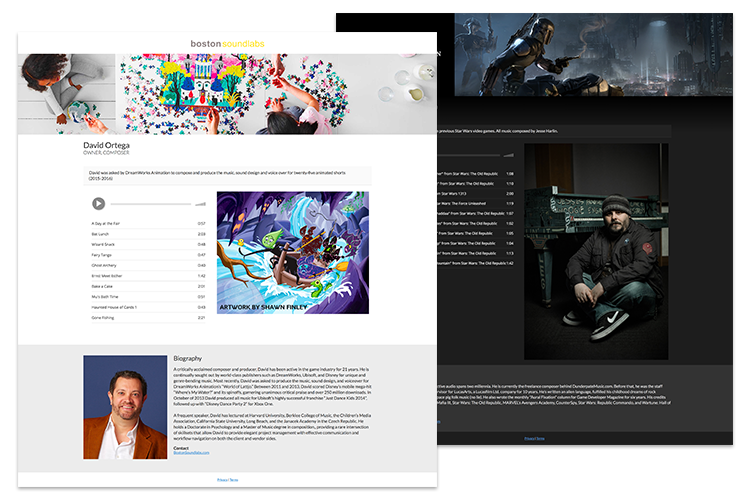 Embed ReelCrafter reels into your WordPress, Squarespace, Wix or custom website. Sleek design and custom player colors will keep all the focus on your work. Plus, save time with instant reel updates — no need to mess around with code each time you make a change to tracks or names. Have more control over your pitching than with any other platform. Send demo reels without anyone’s branding but your own. Tailor the listening experience with downloadable reels and password protection. Then watch your listener metrics for valuable insights to perfect your presentation strategy.